Animal prints are a favorite this season. So, why not kick-off the holidays by sending our Giraffe Print Border Personalized Holiday Photo Mount Card? You can follow with some fun, spot-on gift ideas—from boots to baubles. Find our bold, red + cocoa brown Giraffe Holiday Cards—either personalized or by box here. 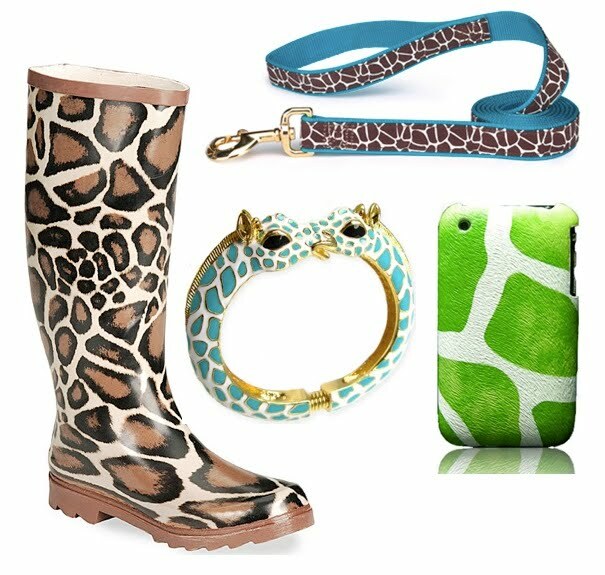 And, for more spotted fun: boots, dog leash, bracelet, and iPhone cover.